When photographer Brian Rose arrived to New York in the summer of 1977, the World Trade Center was still relatively new. However, by the turn of the century – long after New Yorkers had become adjusted to the bustling complex – the Twin Towers came to be accepted as a symbol of the city’s resiliency and power. In his new book, “WTC”, Rose documents their prominence (and later, absence), as well as the rebuilding of the city after September 11. “WTC” is part of a trilogy of books about New York City. (Rose also captured “Time and Space on the Lower East Side,” as well as the Meatpacking District’s “Metamorphosis” from 1985 – 2013 in two earlier books). 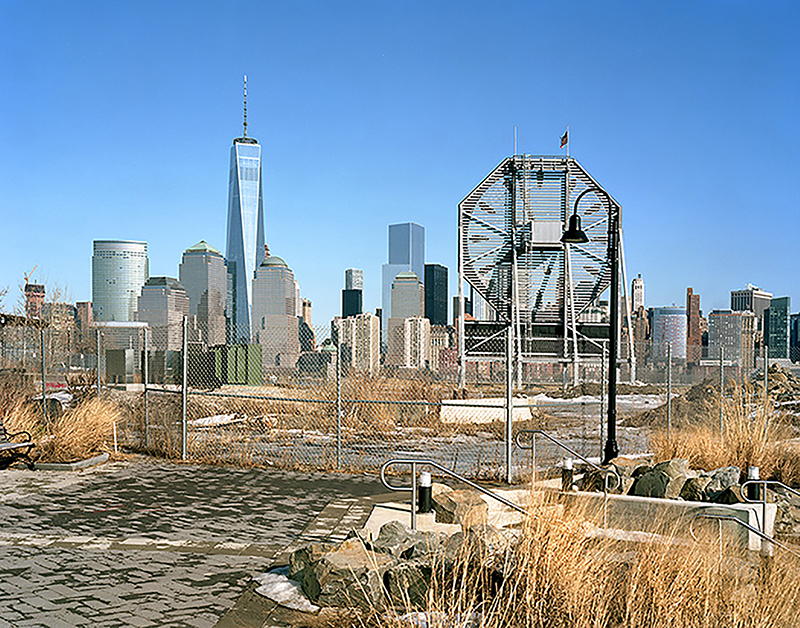 None of the photography, however, was intended to come together cohesively in a “unified chronicle.” But even as Rose took to the streets to document the Wall Street area and the decaying Lower East Side in 1980, the World Trade Center, standing prominently in the distance, commanded a presence in his photographs. The resulting collection of images seen in “WTC” acts as a tribute to New Yorkers. It’s a commemorative volume, documenting the site from where he stood amongst others on the sidewalk or street. (As Sean Corcoran, the Curator of Prints and Photographs at the Museum of the City of New York notes, he never obtained special permission to photograph from certain vantage points). Most importantly, it also serves as a symbol of resiliency and honors the legacy of the Twin Towers in the aftermath of the attacks. “WTC” is now available on brianrose.com and at selected bookstores. Next, check out Remembering 9/11: A Timeline of the World Trade Center Site and see photos from Behind the Scenes at the Construction of 1 WTC, Freedom Tower.